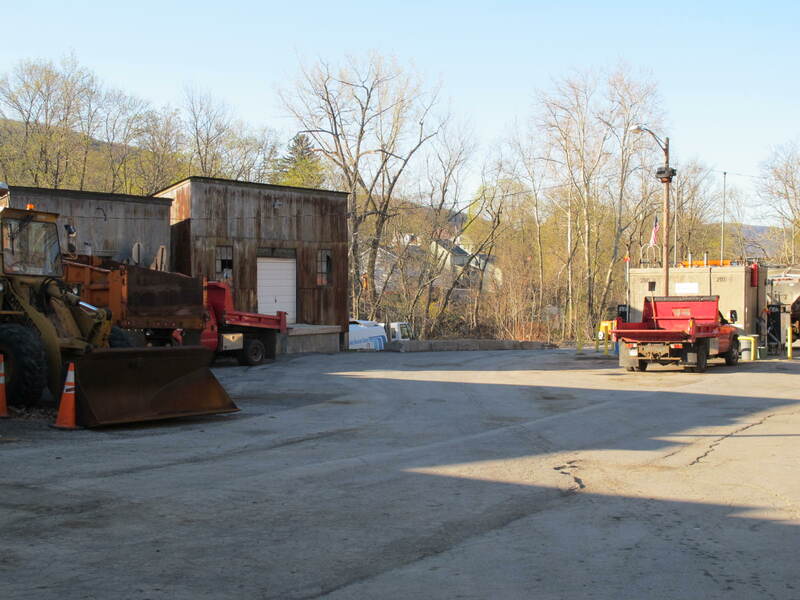 There is no question that the structure currently housing the city highway department is in bad shape. But throwing 10 million dollars at the problem is equally unquestionably not a prudent solution. This municipal project as currently planned is just not a good place for the City to be spending its future money right now. The first objectionable issue is of course the financial burden. With the world global financial system currently on life support, both individuals and communities should be working to get out of debt. Putting the current and future citizens of Beacon on the hook for $10 million plus interest is not prudent. 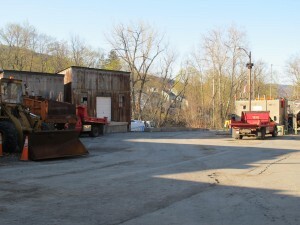 The current facility is on the northern bank of the Fishkill Creek just off Churchill Street. This project alone could raise taxes by 6%. That is a figure that would hurt a lot of people. To say that the money will come from “increasing the tax base” is wishful thinking. That has always been a ponzi scheme, and has never done much if anything to slow tax rate increases. In fact, there is evidence that it ultimately contributes to increasing taxes. In any case, although there are 500+ units on the drawing boards, very few have yet to materialize. Let’s not count our tax-laying units before they hatch. The original land the State offered was behind Chemprene, which was acceptable to the City. Until, that is, the women’s correctional facility was closed by the State, and 6 of those 45 acres began to be discussed as a possible site for the highway garage. In a recent Beacon Free Press article, the mayor reported that the architect said the new site costs on the prison grounds would be lower than the costs associated with building behind Chemprene. The main reason has to do with the distance to current water and sewer services. But one reason the cost has risen well past initial estimates is that it was discovered that the new new site has a high water table, and will incur higher construction costs. 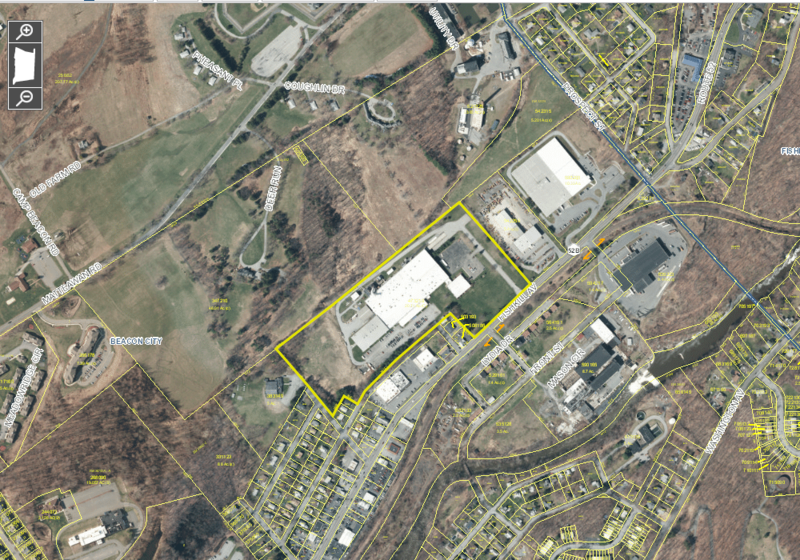 In terms of environmentally suitable, the new site will also very likely be adjacent to what could be Beacon’s most important project for the future, The Mid-Hudson Food Enterprise & Training Center. This food-based economic development program on the former prison grounds will be run by The Doe Fund, in conjunction with a host of local grass roots organizations. It is projected to bring up to 250 jobs to Beacon when fully phased in. Included in this proposal, which is undergoing final review by the State, is a working farm to be run by Common Ground Farm, a local, community-supported farm. Building a highway garage on land with a high water table right next to agricultural land might also be considered environmentally unsuitable. 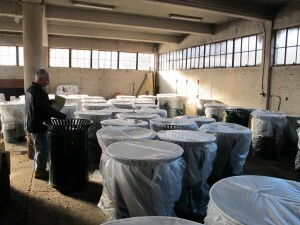 The new crop of city trash receptacles was stored in an area that is no longer rated for heavy equipment. If the city had given this issue a bit more thought, it might have come up with a small committee to look into possible solutions that would allow for the protection of the highway equipment and a safe place for workers while also not saddling the public with a huge deficit. For example, if such a committee had existed, looking at potential sites as they came on the market, it might have looked into Southern Dutchess Bowl on Route 52. 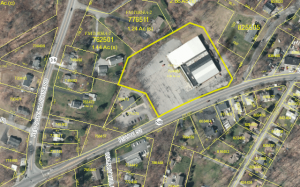 According to the Dutchess County Parcel Access Map this 3-acre parcel sold to Herb Redl in June of this year for $825,000. (The current highway garage on Creek Drive is situated on 2.5 acres, which has an estimated value of approximately $875,000.) Redl plans to use the existing building for a storage business, and is also building additional storage structures on the site. 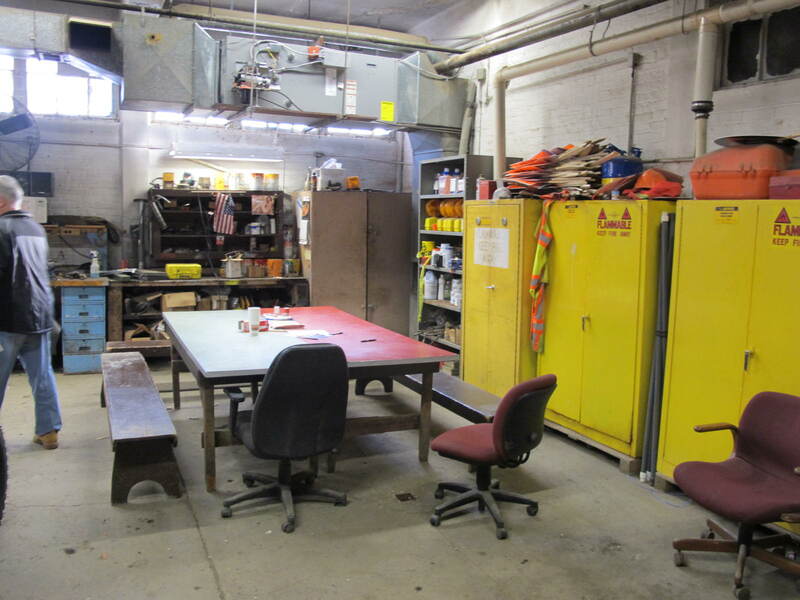 Worker lockers and a meeting/lunch area. The property, at 629 Route 52, has a Beacon postal address and pays Beacon school taxes, but is on the Town of Fishkill property tax rolls. This would have been ideal for the shared services between municipalities idea that the State of New York is promoting (maybe eligible for grant money?) and in fact sharing highway equipment storage facilities is a lot easier to figure out than, say, shared fire and police protection, in which response times are an important factor. This 3-acre parcel is a minute down the road from the access that would lead to the proposed site. It’s an example of what could have possibly been alternatives to spending $10 million on a building to store trucks and other equipment and salt for the roads. 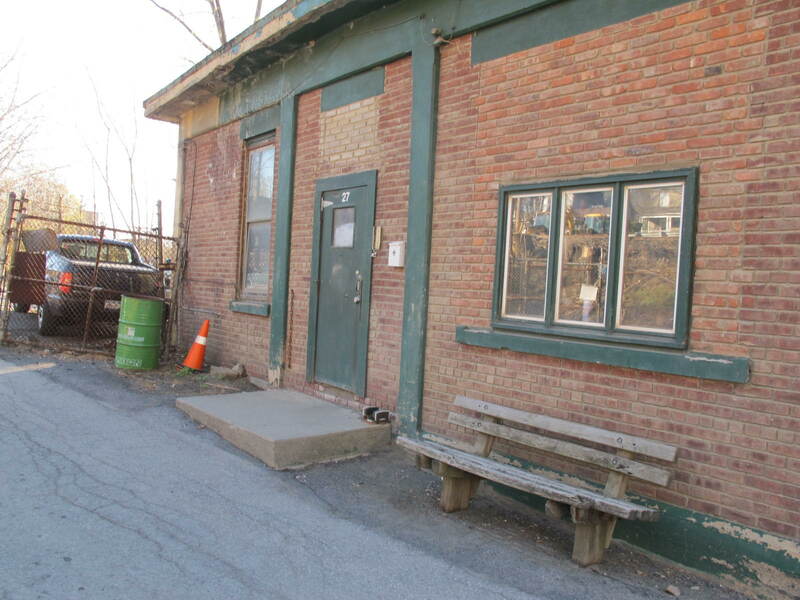 The former bowling alley is just down the road from the proposed site (also in the Town of Fishkill) and in reality would be much easier to access. Now let’s suppose an additional shed structure had to be built, and the current buildings needed upgrades. So we budget another $1.5 million. We still come in at about 25% of the current projected costs. And making the site blend in with the gauntlet of car dealerships, gas stations, auto parts stores, car washes and doughnut franchises on Rt. 52 would not present much of a challenge. Unfortunately, even the oil industry itself says there is not more than 40 years of oil left at best. That is wildly optimistic, and includes the kind of oil that costs more to extract than the companies can make selling it, as well as the kind of oil that we haven’t figured out how to get out of the ground at any price. The bankruptcies from the Bakken oil fields in North Dakota and the Alberta tar sands in Canada are only just starting to roll in. Of course, even if it were economically feasible, we would still be damned by burning the stuff. Remember climate change? So what kind of road are we kicking this can down anyway? If you think electric self-driving google-eyed cars will be whisking us around to Best Buy and Planet Wings a hundred years from now, please think again. Ditto if you are planning to send your kids to college on Mars. But lets suppose all this google-yness did come true. Of course then we will also have radiantly-heated, self-repairing roadways, and cars that hover and don’t hardly need roads. And the plow trucks will be operated by robots, so that we can have a 6-hour work week and more quality time with the family. Either way you look at it, highway garages don’t look like a good long term public infrastructure investment. Perhaps there are reasons the Southern Dutchess Bowl site would not have been ideal. But at the very least, it would have been nice to hear from a committee why the City could not adapt this site and save 6 to 8 million dollars. And to continue looking for a way to store our highway equipment that doesn’t put such a burden on current and future citizens. In these interesting times, we can no longer afford to throw vast amounts of future public money at problems. As the sign in the mayor’s office says, it’s time to Think Outside The Box. One way or another, Highway garages will become the definition of white elephants in the not too distant future. They will definitely be in a box, one ready to be lowered into the ground. Good article and spending $10 million of a facility is a concern. A concern that had been discussed and deliberated for over 15 years. $10 Million is a lot, which could of been closer to $4 million ten years ago. We live in a New World where we live under the costs of Unions and those costs are not cheap. The city needs to go lowest bidder under Union prevailing wages (NYS Taylor Law). I’ve been on that side of the table and its not easy. Most times you would like to do things that seem most sensible, unfortunately NYS requires the city to follow certain laws that increase the costs of doing business. This project had been discussed when I was on council and bonding out the $$ now when its cheap is better than waiting for interest rates to increase, then we would really be in a bind. Farmington, NY has houses that you can buy for $20,000. Labor costs and material costs are much cheaper also. That would be like comparing the cost of a highway garage in NYC to one in Beacon. Bad comparison. Note that both union and non union shops can apply. PLAs can also be designed to require that a certain percentage of workers come from the local area. I don’t believe in simply saying “It can’t be done.” As I said, the Visitor’s Center cost way less than it would have if it were simply done by the book. I believe I can safely say that it is not necessary to spend $10,000,000 on this project. The cost to build a home in the last ten years did not more than double. Why did the garage? In 2013, the percentage of workers belonging to a union in the United States was 11.3%, compared to 20.1% in 1983. So you’ll need to let us know what new world you are reporting in from, Justin. Is there a breakdown somewhere of what square footage the proposed building will be, how much office space, what other amenities? 10 million sounds awfully high. Googling for comparable projects in other communities, one of the best analogues I found is Farmington, NY. They built a gorgeous new building, 48,500 square feet, with office space featuring radiant heat and clerestory windows, garage space with wash bays and maintance areas, everything nice. They service 100 miles of road and 12,000 residents with room to grow, compared to Beacon’s 59 miles of road and 15,500 residents. That project: 3.9 million dollars funded by lottery money. Is our proposed building gold-plated or something? I asked Mayor Casale why our project would cost so much more than Farmington’s. His reply was that labor costs and construction costs in general were a lot higher here, but he would try to get in touch with people up in Farmington to find out more details. Labor costs. What about hiring Beaconites who are out of work? In 1933, the City hired an engineer to oversee construction of a replacement bridge over the Fishkill Creek and 9D. It was stipulated that all the laborers be from Beacon, and he trained them on the job! If it can be done with a bridge in 1933, I bet we can use some local talent and muscle to help build a highway garage in 2015. 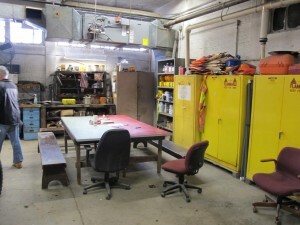 More recently, lots of volunteer work, salvaging, etc. went into building the visitor’s center at the head of Main street. Another bonus to using local workers is that the money they earn gets recirculated into the community.